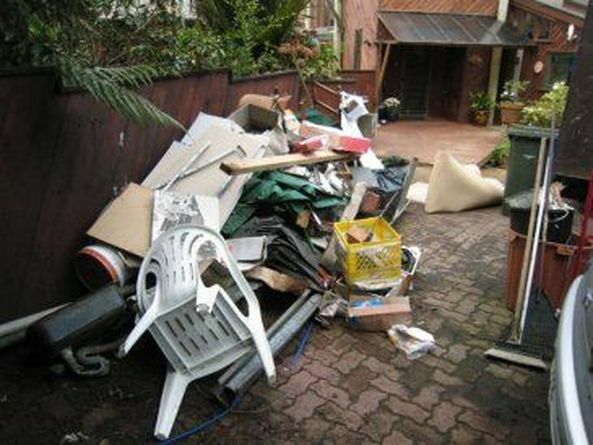 Let us help you get rid of all that accumulated and unsightly rubbish in and around your House! Graham’s Garden Care Gardeners are happy to provide a no-obligation FREE QUOTE to remove green waste, debris, old furniture and belongings from your property or shed or even under your house, anywhere in South East Queensland. Graham’s Garden Care has a fleet of working trailers to carry your waste and rubbish away. It’s easy! We will load and take it all away, and you simply pay for our time and the cost of disposal at council refuse centers. Our professional gardeners have the tools, the equipment and the ability to remove a wide range of waste and get that waste to the local disposal point. We are fully insured to give you peace of mind that the job is being done efficiently and we have a duty of care to ensure waste and garden rubbish is recovered and disposed of in a safe and environmentally friendly manner. Whatever the size, whatever the waste, we can help. Call us on 1300 134 035 or fill out the online enquiry form to arrange an obligation Free Quote today!